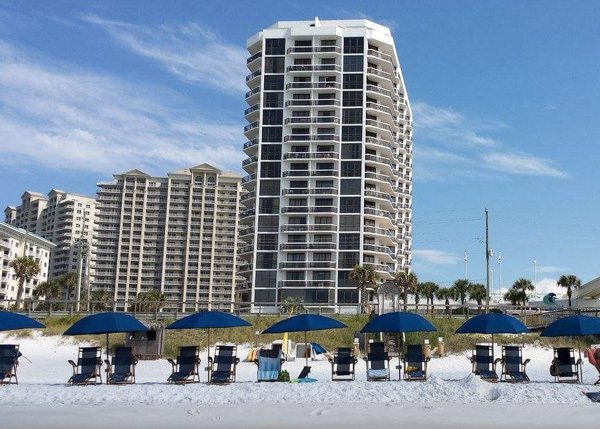 Surfside Resorts is a 17 story condominium located in Beautiful Miramar Beach, Florida. The Resort offers amazing views of the Emerald waters of the Gulf along with great on site amenities. 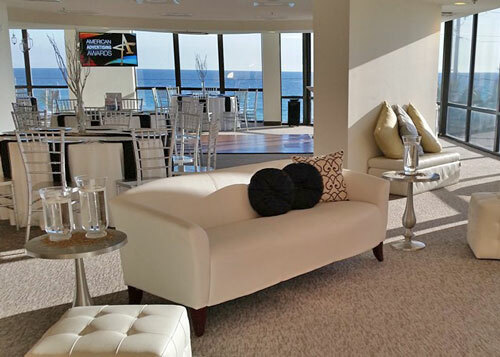 Surfside's partners include a full service restaurant & bar, Royal Palm Grille; spa, the Surfside Spa; and salon, Rogue & Pure Co.
Vacasa Vacation Rentals is the onsite rental management company and you may contact VACASA to book your stay at Surfside. Whether you're playing in the sand, relaxing in the hot tubs, or having a massage, you'll have a great experience and lasting memories. You may not ever want to leave, and why should you.